In order to run a successful business, it is vitally important that you are able to keep a handle on your finances. 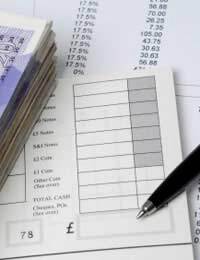 Managing your business finances in an efficient manner is key to the short-term stability and long-term growth of your organisation; keeping track of your spending, as well as money coming in, can ensure that you do not run into cashflow difficulties, and have enough surplus to pursue the growth areas that you have identified. As the owner of a business, you have a number of responsibilities regarding the managing of your business finances. The extend of these responsibilities will depend on the legal structure of your business. If you are a sole trader, for example, your business spending and income will be considered as part of your personal finances for tax and assessment purposes. This means that, while the responsibilities are less onerous than for a limited company, you are still required to keep accurate records of your income and expenditure. This is not only a legal requirement, it is also personally beneficial to you; keeping records of your business related spending will enable you to offset a good proportion (if not all) of that spending against your income on your self assessment. This will mean that you pay less tax. If your business takes the form of a limited company, you will be required to make an annual company return; you are required to file company accounts with Companies House, as well as HMRC. Furthermore, if you are a director you will almost certainly still have to complete the self assessment process for your own personal finances. As can be seen, it is important to develop methods for keeping on top of your business finances. Depending on the nature of your business, this might be as simple as keeping track of money in and money out. However, it is vitally important that you perform these administrative tasks regularly. You should have an accountancy package that you are familiar with, and you should add invoices, receipts, and accounts received as they come in. If this is impractical, you should ensure that you are managing this task at least on a weekly basis. Some individuals choose to leave this task until just before the annual deadline for returns. In reality, however, this will frequently lead to you missing the deadline, and to your business being penalised. Depending on the complexity of your business finances, you may choose to employ a bookkeeper. There are a number of agencies that can provide you with a freelance bookkeeper; you may well find that having someone come in once a week with the sole task of managing your finances will ensure that the job is done properly, and that you can spend your time dealing with other aspects of the business. It should also be remembered that, if your business is VAT registered, it is vitally important that you keep on top of your VAT affairs. Failure to do so can result in huge fines in the event of a VAT inspection – which will happen at some point. Many companies have been put out of business by a VAT inspection. It is worth remembering that HMRC can look back as far as seven years for VAT purposes, and that you therefore have a legal responsibility to keep records for this period. However, if you are happy with the amount of VAT that you paid in the year previous to this seven year period, you should destroy all of your previous records; this will ensure that you are not landed with an unexpected bill.